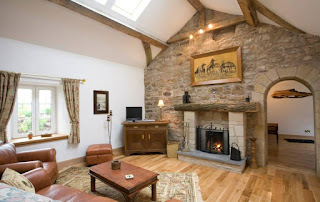 Muirhall Holiday Cottages are a collection of 4 cottages on Muirhall Farm. They are located just outside of the small village of Auchengray, which is a short drive from Lanark. The farm has plenty of gardens and grounds to enjoy. The farm and outbuildings have been lovingly transformed into these luxury cottages, which are versatile and furbished with 5 star facilities. There are plenty of activities available nearby, including walking, hiking, horse riding & shooting. Lanarkshire is packed with attractions for all ages such as Chatelherault Country Park. This is an 18th Century lodge with nature trails. Guests can also visit National Museum of Rural Life which provides farming history.